Calculations show that the volume of pending purchases of currency on the domestic market in the budgetary rules for the period from August 7 till 14 January will be 2,077 trillion rubles. These amounts are scheduled and must be redeemed in the future, that is, the size of exemptions in 2019 will increase due to deferred purchases if the economic unit does not decide otherwise. The Ministry of Finance seeking the retention of the ruble at levels 60-67 rubles to the dollar, so the purchase in full, you may not need, but the opportunity for the state left. If we proceed from the fact that the Central Bank will continuously withdraw part of the monetary liquidity in the open market over the next three years, will be purchasing approximately 2.8 billion rubles. It is worth noting that Russia has a surplus trade balance: in the first 9 months of this year it totaled $150 billion, $58 billion more than in January-September of 2017. Russian exports in this period increased by 27.8% yoy to $327 billion, the share of CIS countries accounted for 87.7% of total exports to the CIS countries of 12.3%. The chief exports of Russia are fuel and energy commodities. In comparison with January-September of 2017, the cost has increased 35.4%, and the volume of deliveries — only 4.6%. Thus, the operation in Syria and other actions in the international arena led to the growth of budget revenues by one third, but the example of the ruble it is not visible — it is not appreciated! In addition, part of the imports are now replaced by domestic goods and services, but $18.7 billion continue to leave the country to its needs (not to be confused with the withdrawal of capital to offshore zones and other jurisdictions). As you can see, the pressure on the ruble is quite serious, and that’s not counting the problems in the world economy. Growing budget constraints in the PRC, “Asian tigers”, the US, the EU and the UK have led to growing negative sentiment among investors. Russia is not perceived as a place of storage of speculative capital, but foreign direct investments are growing. Production growth in the country by nearly $5 billion this year (the forecast of regional development at the end of 2018) and using the position of Russia as a supplier of resources and high-tech goods led to a local interest from investors. In the end, the threat of new sanctions against Russia, coupled with the growth of exports and increase of foreign exchange earnings forced the ruble to fluctuate with a wide amplitude. The actions of the Central Bank is designed to smooth these fluctuations, but sometimes they lead to increased pressure on the Russian currency, and in the next three years this process will not stop. The possibility of withdrawal of currency from the market of 2.8 billion rubles a day will keep the potential of the rouble to strengthen. Now, however, all emerging markets experience capital outflows, therefore, to separate the influence of this factor on the regulator’s actions would be impossible. 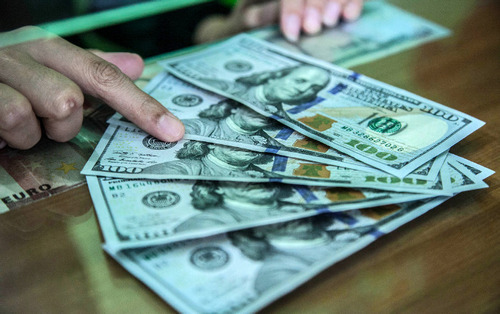 Most likely, the dollar will easily overcome the mark of 71.6 ruble in the beginning of next year: speculators, anticipating the actions of the Central Bank in the open market, try to start your purchases early. And the holidays always have a higher demand for the currency as Russians fly on vacation. To keep the dollar below a mark of 67 rubles now is extremely difficult and foreign economic and political reasons. Quotes of the ruble is very close to the upper limit of comfortable for the Ministry of Finance of the range, and the slightest strengthening sanctions pressure or the reduction in the price of oil will easily “transfer” the value of the dollar through the level of 70 rubles on its own, without intervention. Unfortunately, other mechanisms for regulation of prices, the economic bloc is still not in place, so used the easiest way — the weakening of its currency and earnings for the budget for the operations of their exporters/importers. Russia remains dependent on external markets and financial flows, so the need for mechanisms to maintain control over the market continues.